Does The Avengers: Infinity War Poster Hint At Tony Stark's Death? 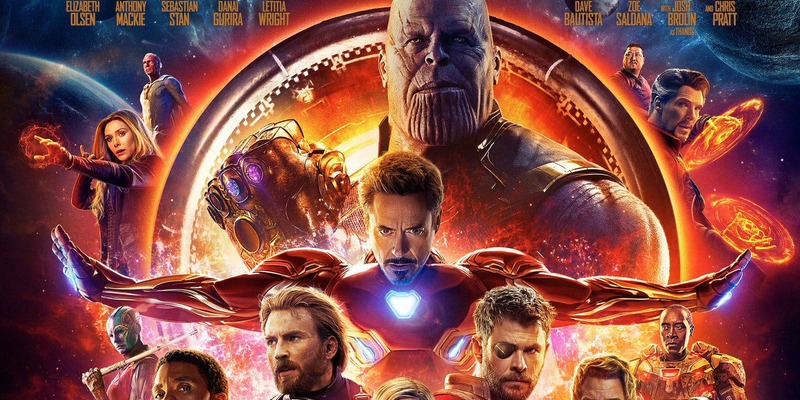 Does The Avengers: Infinity War Poster Hint At Tony Stark’s Death? With its release just over a month away, things are kicking into high gear for Avengers: Infinity War. You’ll have seen the amazing final trailer (and if you haven’t what the hell are you waiting for, it’s right at the top of this article?!) and this character-packed one sheet that really brings home that the film gathers pretty much the entire MCU together. Despite a huge 23 hero line-up (and one big purple bad guy), it’s a remarkably elegant piece of work, largely eschewing the floating heads that have bedeviled poster design for the last couple of decades. But now some fans are theorizing that it hints that Robert Downey Jr.’s Tony Stark aka Iron Man isn’t long for this world. Given how important the character has been since the origins of the MCU, you’d expect him to take a prominent place on the poster, but he looms over all the other heroes in a pretty evocative pose – almost as if he’s being crucified. On top of that, the repulsers on his gauntlets and his chest-mounted arc reactor all vaguely recall the stigmata. Could the selfish, egocentric Tony Stark sacrifice himself to save mankind from Thanos? Well, in-universe, he’s demonstrated a willingness to go that far, most notably in The Avengers when he took what he assumed was a one-way trip through a wormhole to take out the Chitauri mothership. He survived that one by the skin of his teeth, but if he were put in a situation where his protege Spider-Man or even Pepper Potts were in mortal danger, who’s to say what he’d do? Back in the real world, Kevin Feige has expressed a desire to start introducing a new generation of heroes to the MCU to create fresh new stories. Downey Jr.’s appeared in eight Marvel movies in total, and is the most expensive actor in the franchise, commanding an eye-popping $200m salary just for Avengers: Infinity War and its untitled sequel. With that in mind, what better way to make these films a huge deal than to kill off the almost universally adored Stark and watch the characters pick up the pieces and plan their vengeance?